Weak demand forced MBK to pull a $1.5 bln listing of hypermarket buildings owned by Homeplus, which the private equity firm bought from Tesco. Now the retail chain has to repay a buyout loan, but banks might not help. While embarrassing, an asset sale could be the only option. The unit, owned by the buyout firm’s Refinitiv, is going public, using proceeds to reduce the stake held by banks. Supervoting stock will augment Refinitiv’s already 54 pct control over the electronic-trading platform. That’s one reason investors may mark down Tradeweb’s worth. Maoyan may wind up going public below its latest $3 bln valuation. Slowing box office growth and cooling tech stocks are two problems. A bigger issue is that investors can already buy shares in backers Meituan and Tencent, whose all-in-one apps have a stronger lock on users. The SEC is operating on a skeleton staff. Would-be public companies like Uber face delayed IPOs. Seasoned firms have to make more guesses about how to comply with laws. And all but the most pressing fraud gets a pass. All three could quickly store up trouble for later. Electric vehicles check boxes for sustainability-minded investors. But the ride-hailing firms’ ubiquity and self-driving ambitions will give U.S. public shareholders new options beyond Elon Musk’s carmaker. 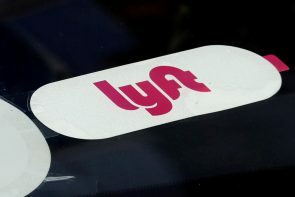 Lyft’s growth and ESG credentials could make it the most desirable ride. The financial centre's $32 bln haul of new listings this year puts it in the global lead. Yet 72 pct of debutantes are trading below their offer prices, and overall trading is thin. Too few long-term investors and a crowded but illiquid market are to blame. Both are hard to fix.